Welcome to SPRING! The weather took a turn back in the direction of winter last week, but I hear that we’re supposed to be feeling much more spring-like by the weekend. I can’t wait! I love the spring. My only complaint is allergies, but honestly I am willing to suffer if I can enjoy the sunshine, the warm without humidity, and the coming of summer! 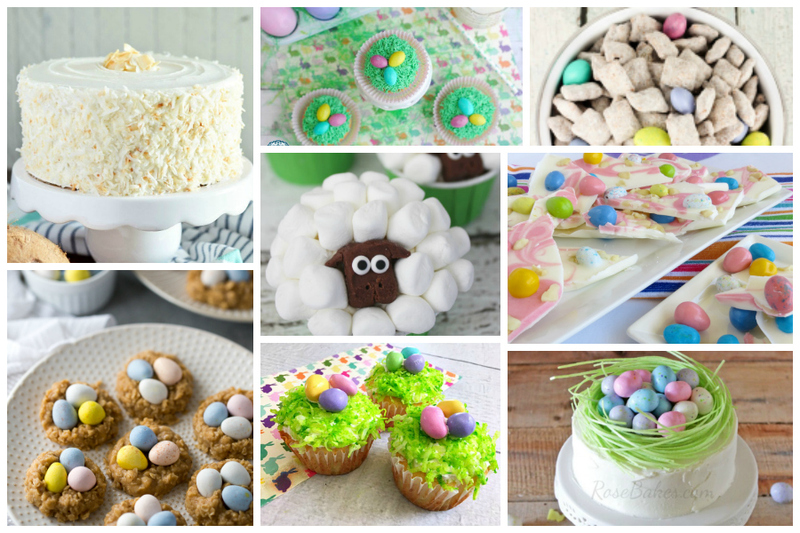 What are your favorite Easter or Spring desserts? 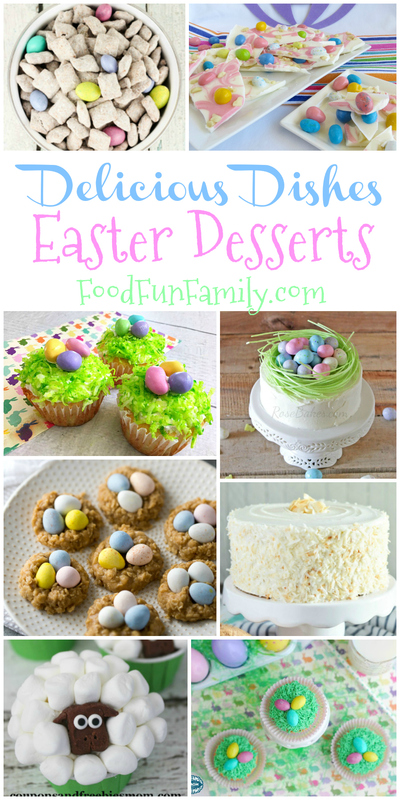 Do you have traditional desserts that you make each year? Follow us along on our Pinterest board. 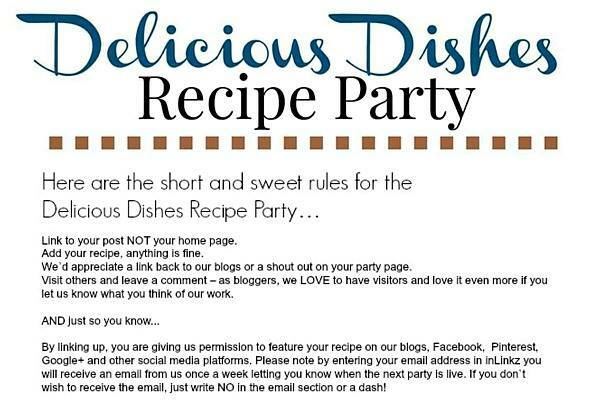 We are celebrating over 60 weeks of delicious recipes from YOU! 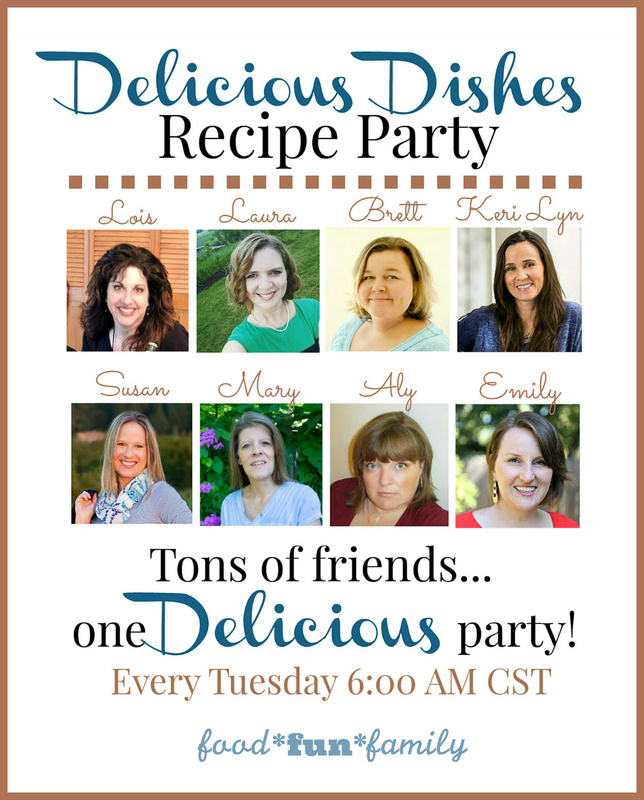 We love this weekly party that was created to showcase recipes from our foodie friends. And guess what? We have some exciting news! Recently we celebrated our 60th party here at Delicious Dishes! And we thought of switching things up a bit. We are now starting something new with our weekly Host Favorites Feature. Thanks again for hosting this week!